Your customers trust you to protect their sensitive patient information. Your pharmacy has worked diligently to institute privacy procedures that comply with privacy protection laws. But have you done everything you can to safeguard your customers’ privacy? Criminals are constantly finding new opportunities to steal private information. Identity theft, medical identity theft, and fraudulent use of private information are rampant problems in the U.S. The FBI reports that one of the most common reasons criminals engage in identity theft is to steal Medicare numbers as well as Social Security numbers, dates of birth, and other information that fraudsters can use for their own financial gain, wreaking havoc in our daily lives. Rapidly advancing technology continuously provides new opportunities for criminals looking for identity information. Because of this, you may be violating HIPAA in a way you haven’t even realized. No doubt, you are well aware that the will-call area at your pharmacy is a vulnerable location when it comes to safeguarding protected health information (PHI). 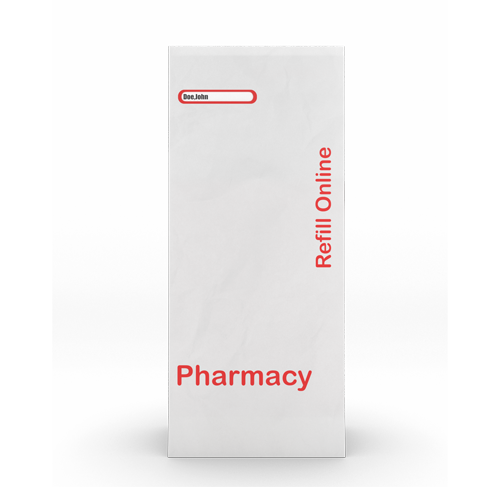 The traditional method of handing off a prescription to a customer involves a prescription bag with the patient information sheet stapled on the outside. Often, completed prescription bags are stored alphabetically in bins in the will-call area. Once the customer has the bag in hand, he or she often proceeds to shop in the retail store. The latest smartphone cameras offer the convenience of snapping high-quality pictures anytime and anywhere. Unfortunately, this means that anyone with malicious intent can use a smartphone to discreetly photograph exposed PHI on a patient information sheet—whether it sits in the prescription will-call bin, at the pick-up window, or in a shopping cart. 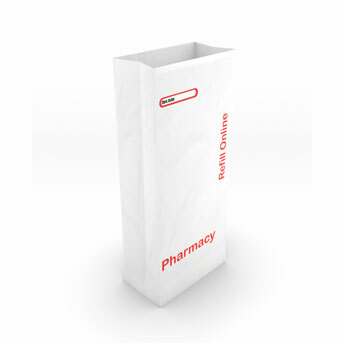 Introducing GuardRX™: The only pharmacy prescription bag designed with patient privacy in mind. GuardRX™ provides a quick and affordable way to protect the privacy of your customers from an often-overlooked vulnerability. People don’t always think about having their identities stolen when dealing with pharmacies or other health care providers. We do, and we have a solution to make the transaction as worry-free as possible for our customers and yours. 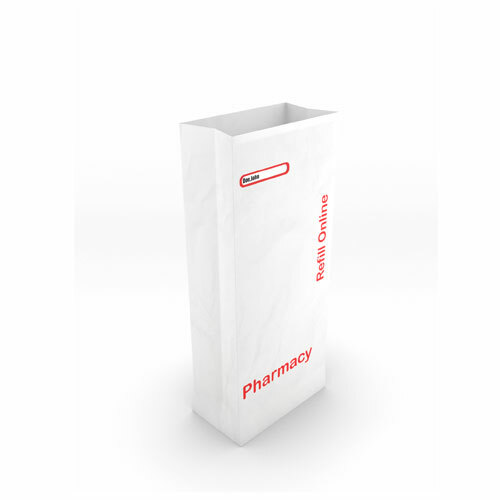 We have designed a pharmacy prescription bag that protects the private information of your customers in the vulnerable will-call area and beyond. Avoid potential HIPAA and FTC violations by safeguarding individual PHI using a unique privacy window. Increase the trust of your customers by assuring them that patient confidentiality is important to your pharmacy. Protect your investment in advertising by fully displaying valuable branding and promotional messaging. 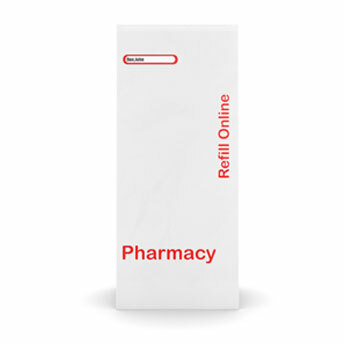 Streamline the process of bagging prescriptions and decrease supply costs by eliminating the stapling step. Eliminate the risk of potential injury to customers and employees from sharp edges of staple sticking out from bags. GuardRX™ is a quick, easy, and cost-effective way to protect sensitive patient information while supporting HIPAA compliance. All it takes is a simple switch from your current pharmacy bags to GuardRX™ bags—no investment in redesign of the pharmacy or special equipment needed! 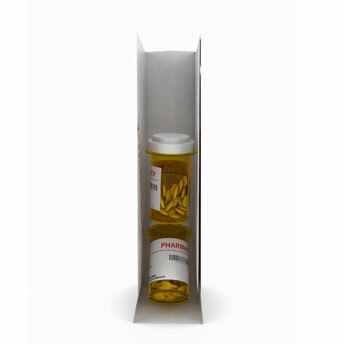 GuardRX™ prescription bag uses a customizable privacy window for the customer name. Simply adhere the patient information sheet to the inside of the bag with the name facing outward and aligned with the privacy window. 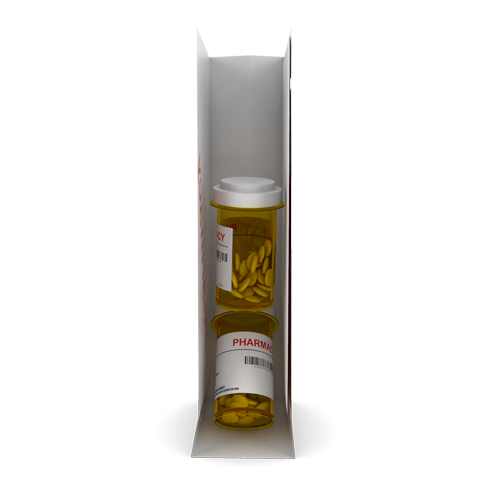 Drop the prescription medication into the bag, and it is ready to go. Confidential information is effectively blocked from view. Led by former Apple Product Design Engineer Kevin Grant, a passionate group of engineers, designers, and healthcare professionals organized Privacy Prescriptions to resolve privacy issues in the pharmacy field. We have dedicated our professional lives to protecting people from fraudsters and thieves who like to prey on vulnerable, often ill, people. We are determined to find great solutions to help protect customers and pharmacies from these criminals. 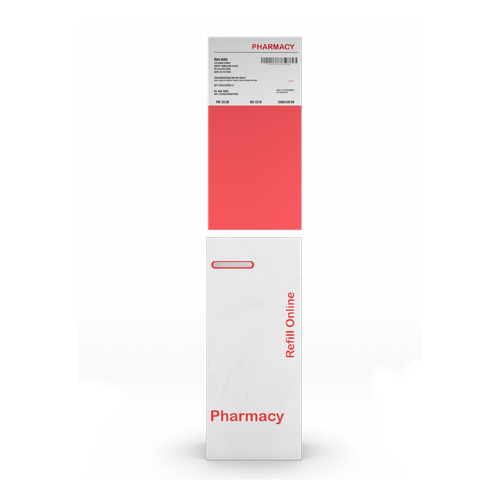 Our passion is also our mission: to offer simple yet extremely effective products designed to safeguard the identities of the millions of people having prescriptions filled every day. We’d be glad to answer your questions!